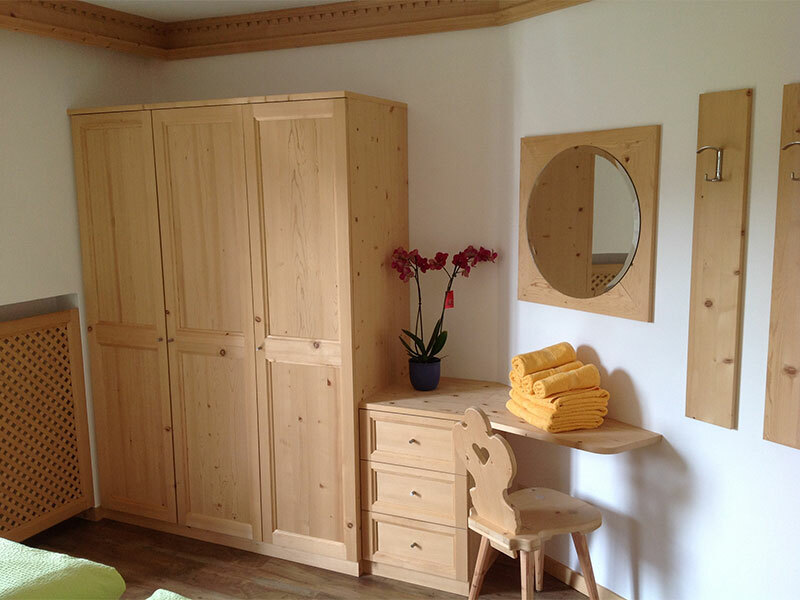 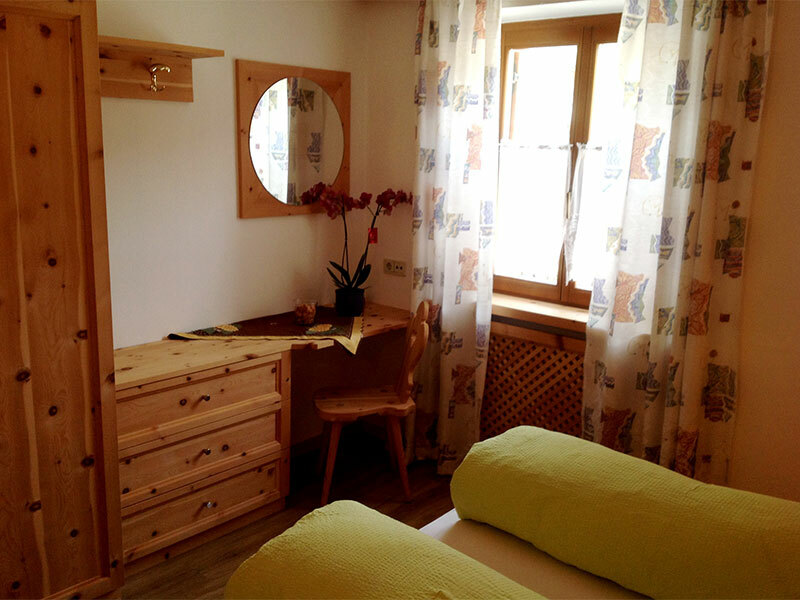 Our apartment building Villa Tannenheim is small, but perfectly formed... just “your home“ on holiday! 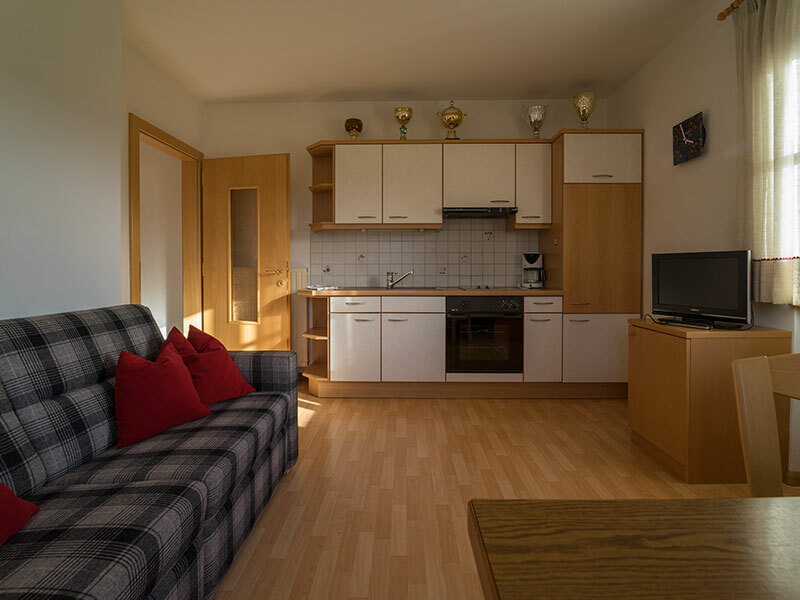 Our apartments are fully furnished with great attention to detail, of course, also equipped with satellite TV and W-lan, to allow, if you wish, to stay up to date. 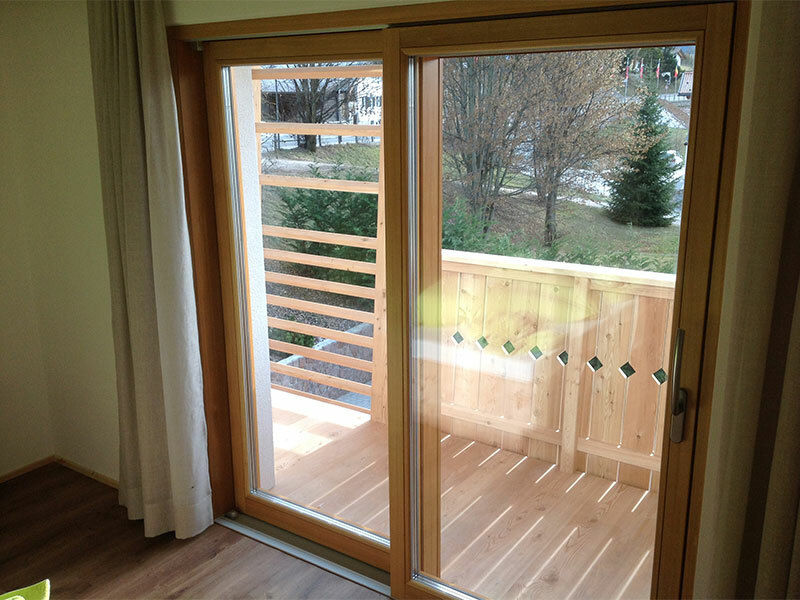 All apartments have a balcony, a terrace or direct access to our lawn. 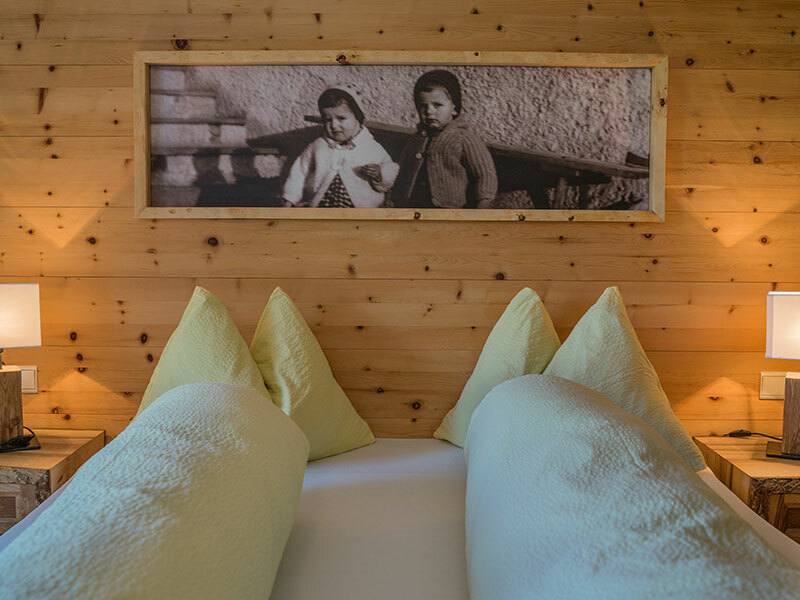 In front of the house our guests will find a children's playground with sandbox, table tennis and a slide, sun beds and umbrellas. 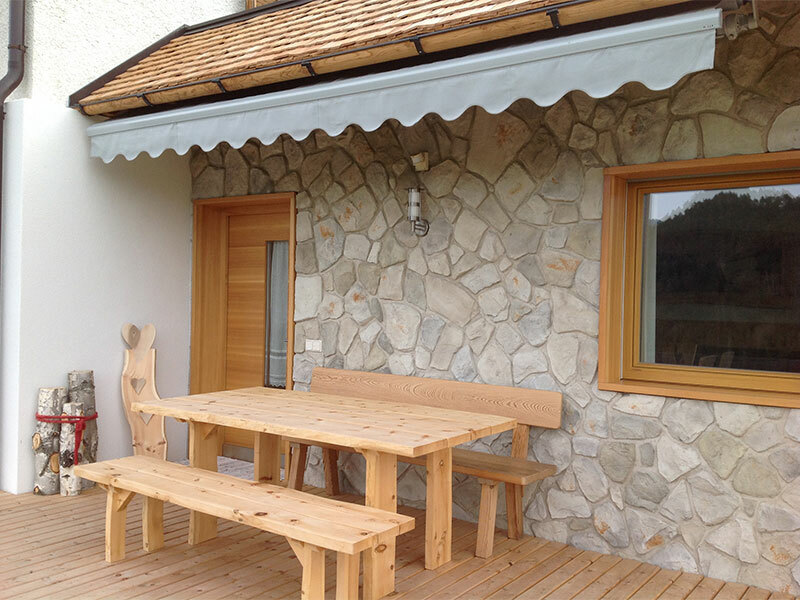 We are also equipped with everything you need to promote a memorable outdoor barbecue. 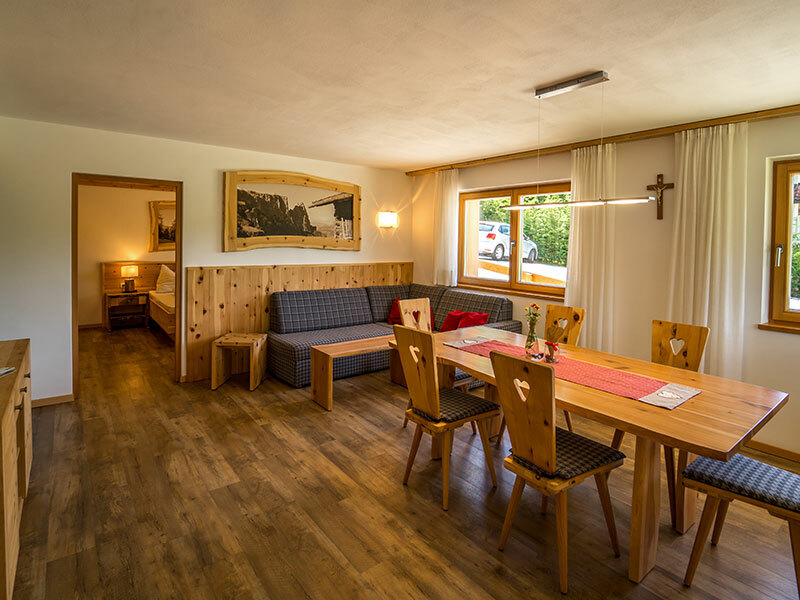 We also offer a private parking space for your car and directly in front of our house you’ll find the bus stop, minibus and ski bus in winter. 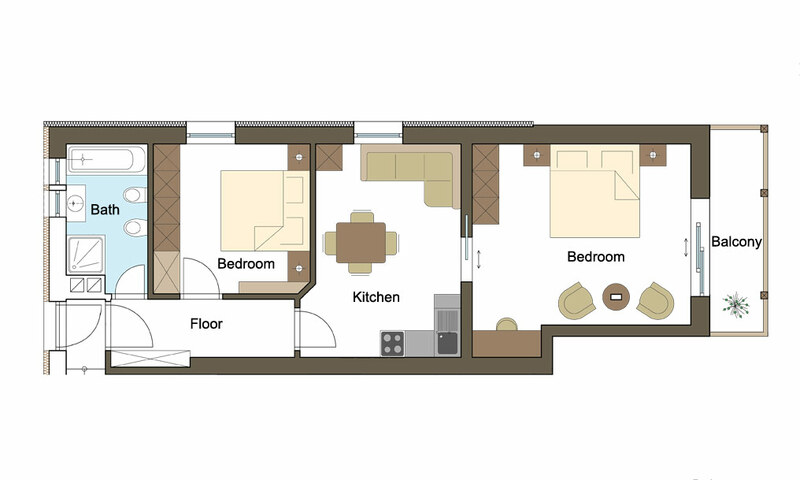 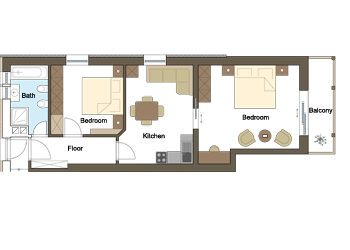 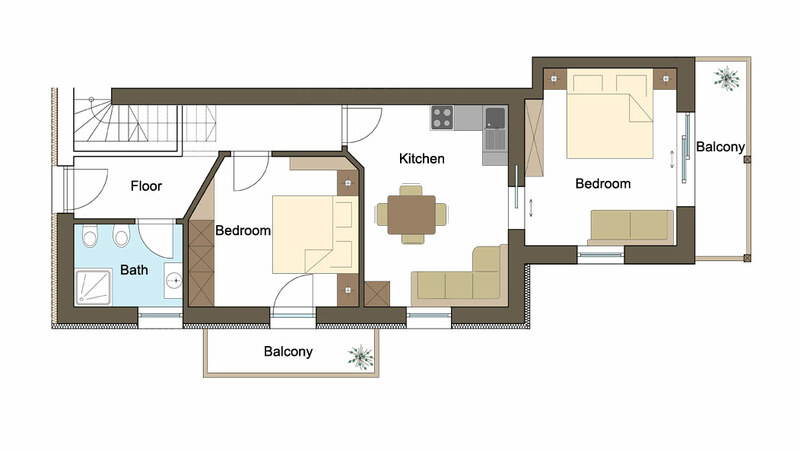 consisting of kitchen-living room with pull-out double sofa bed, 2 separate double bedrooms and bathroom. 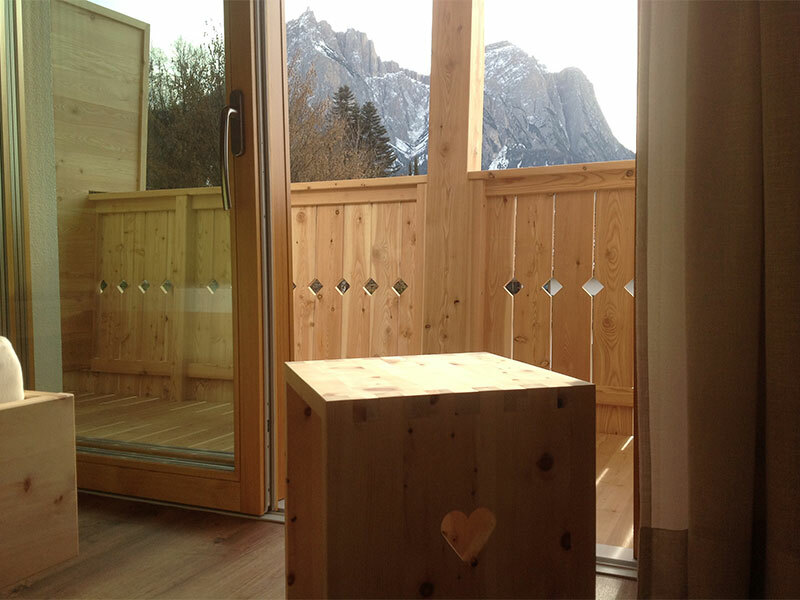 The furniture was lovingly made of high quality solid pine wood, with beautiful south facing balcony and view of the Sciliar massif. 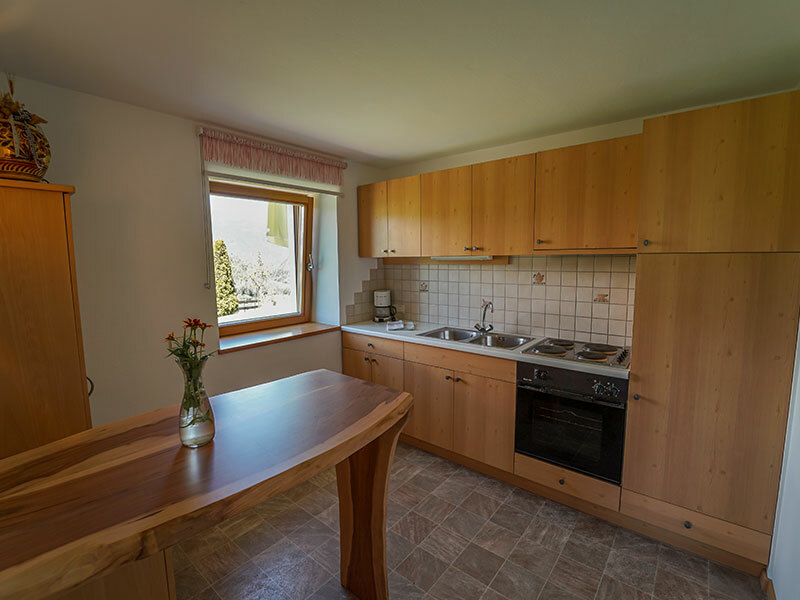 Our apartment Adlerhorst is located on the first floor of our house, with a fantastic view over vast woods and meadows. 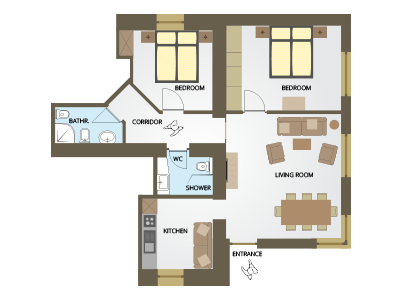 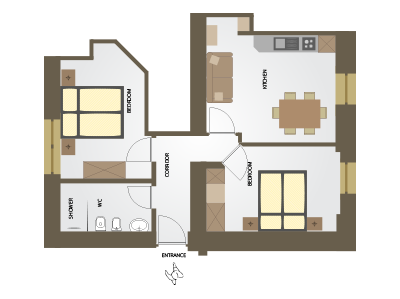 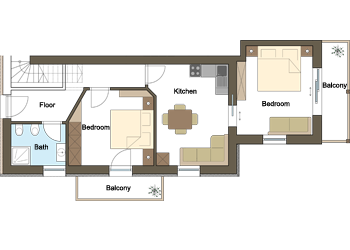 It consists of a kitchen-living room with pull-out double sofa bed, 2 separate double bedrooms and bathroom. 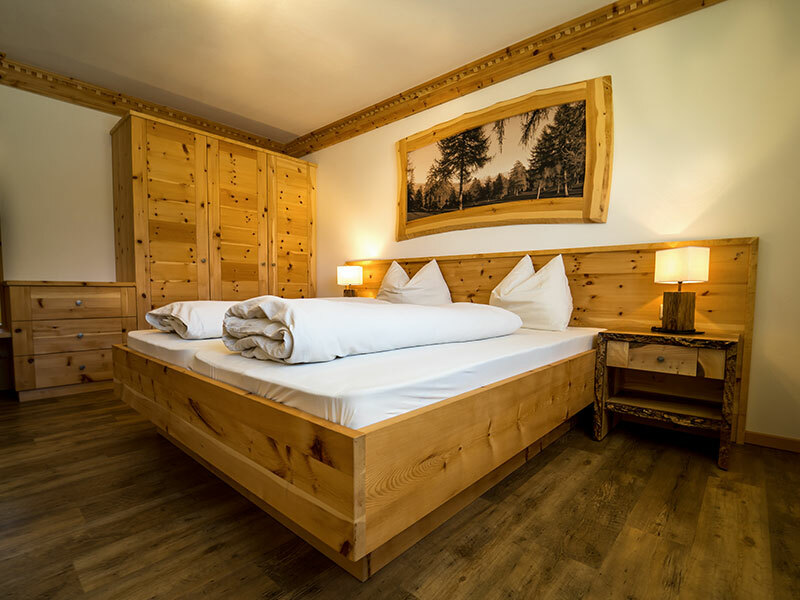 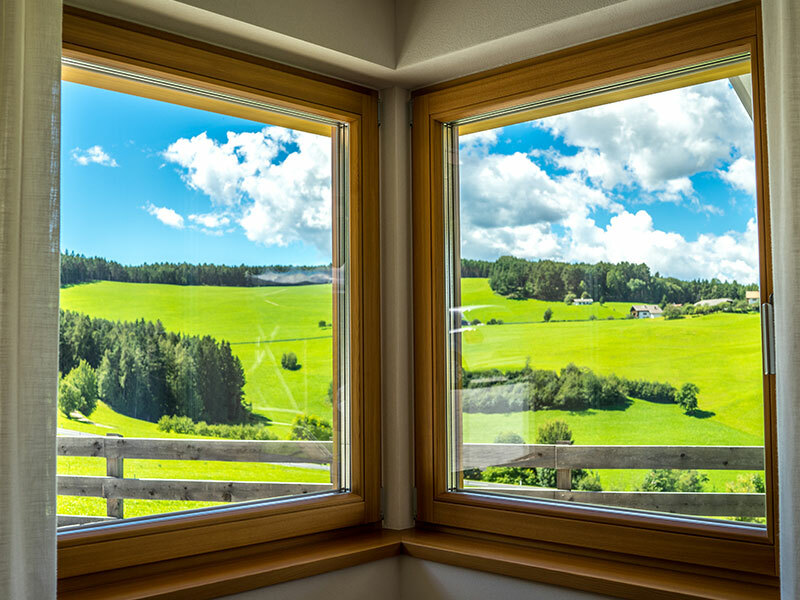 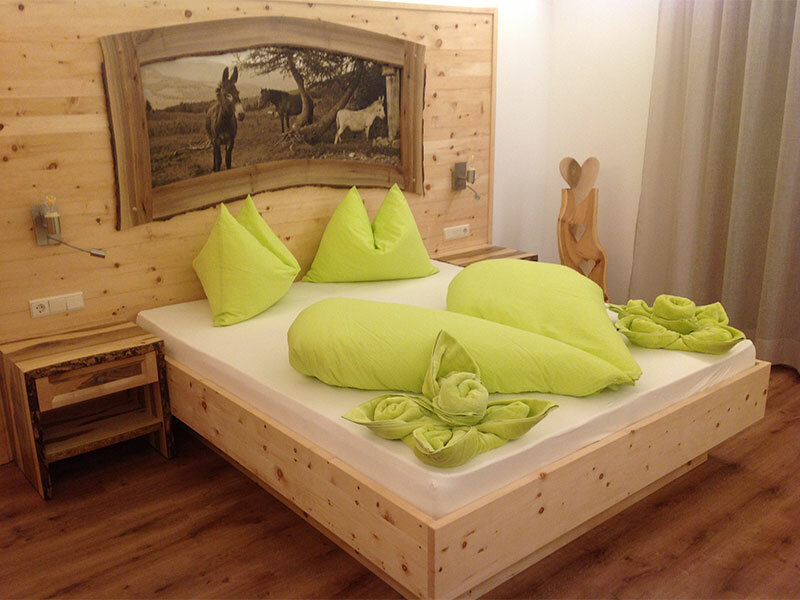 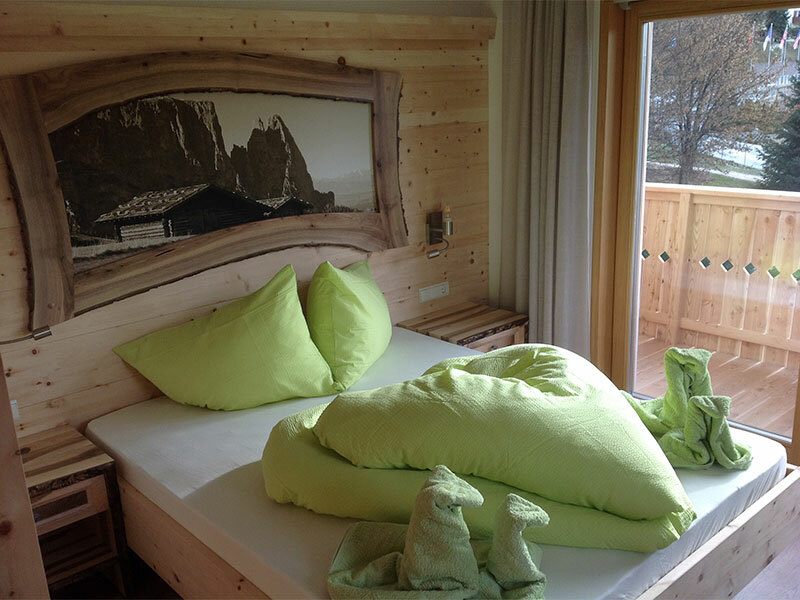 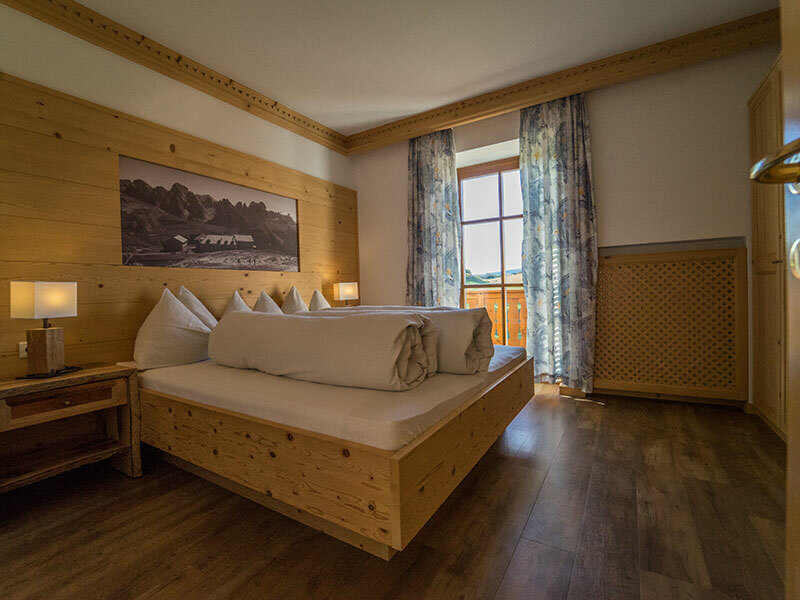 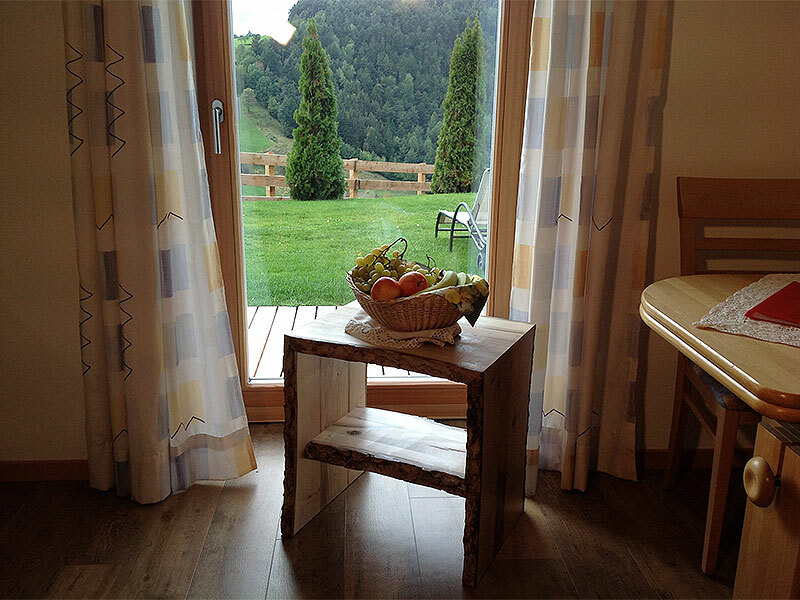 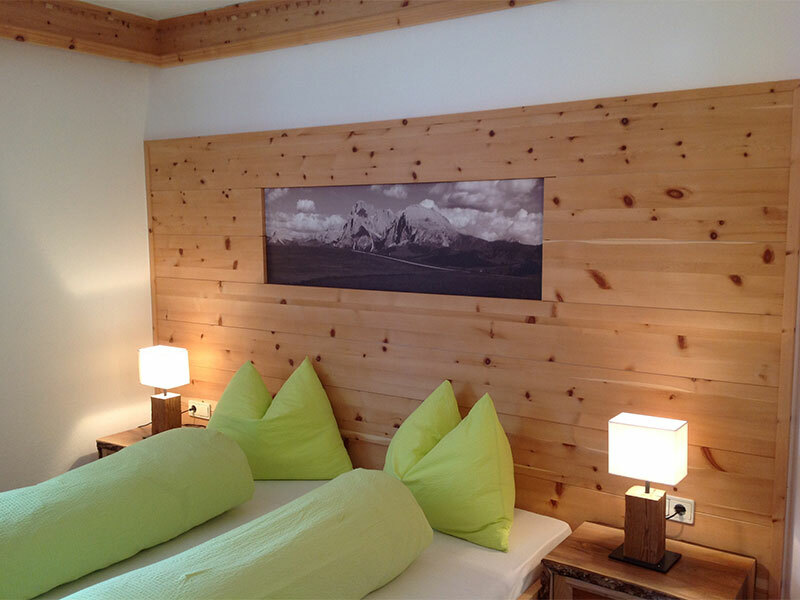 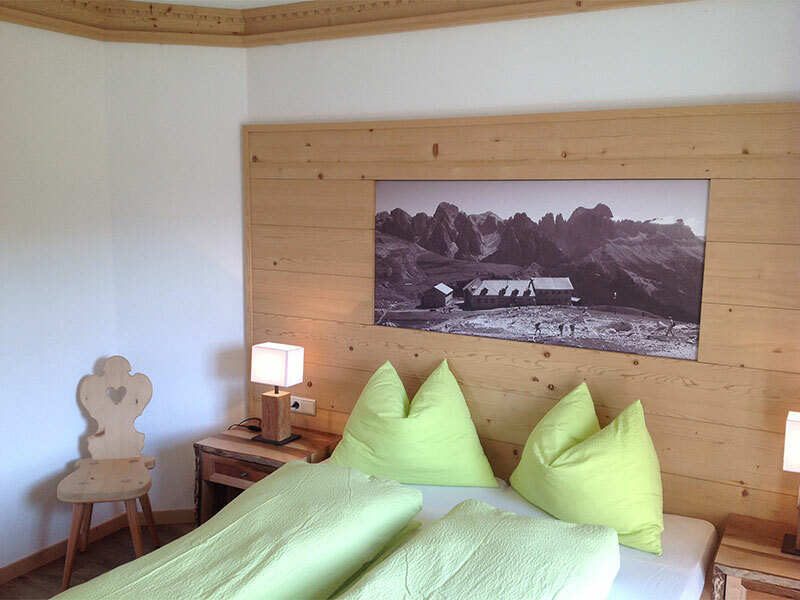 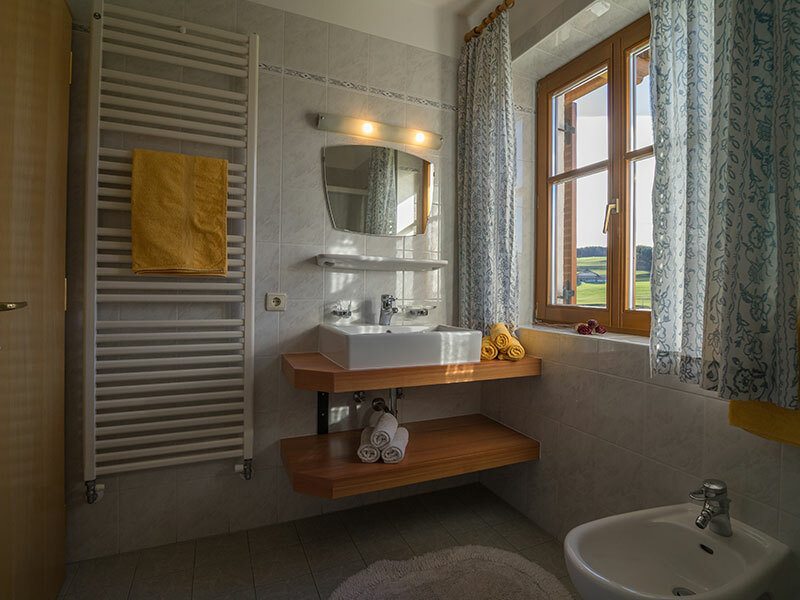 The furnishing was lovingly made of high-quality, solid spruce pine wood, one room has a beautiful south-facing balcony with a view of the Sciliar massif and the second bedroom has a balcony facing the valley. 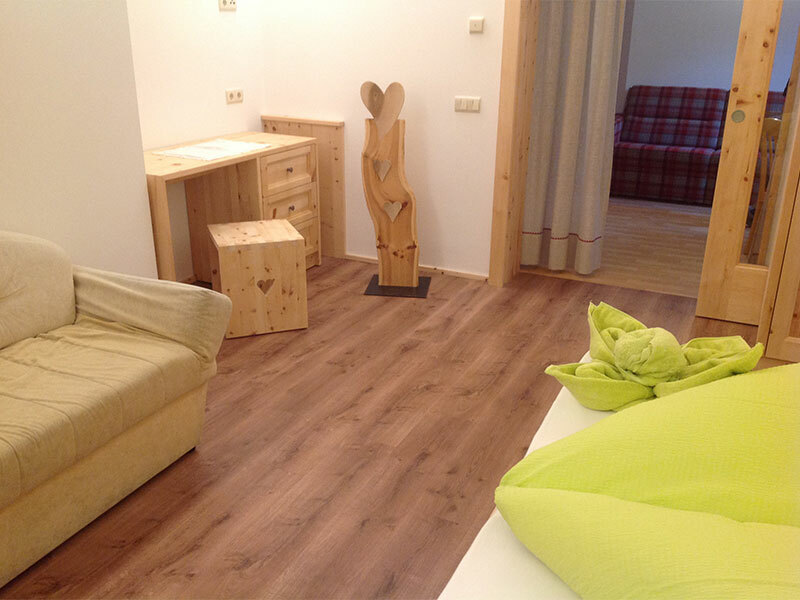 Our apartment Tannenzapfen is located on the ground floor of the building, with direct access to our sunbathing area. 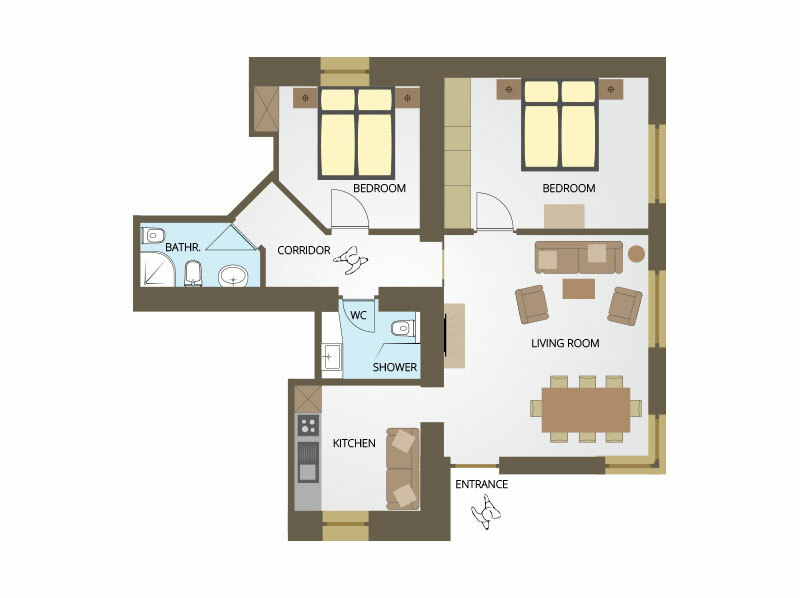 It is suitable 2 to a maximum of 6 people. 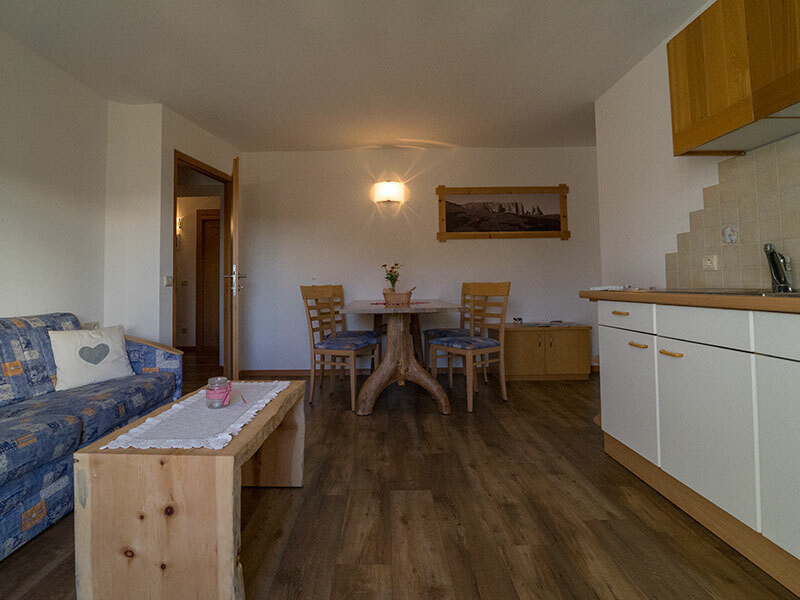 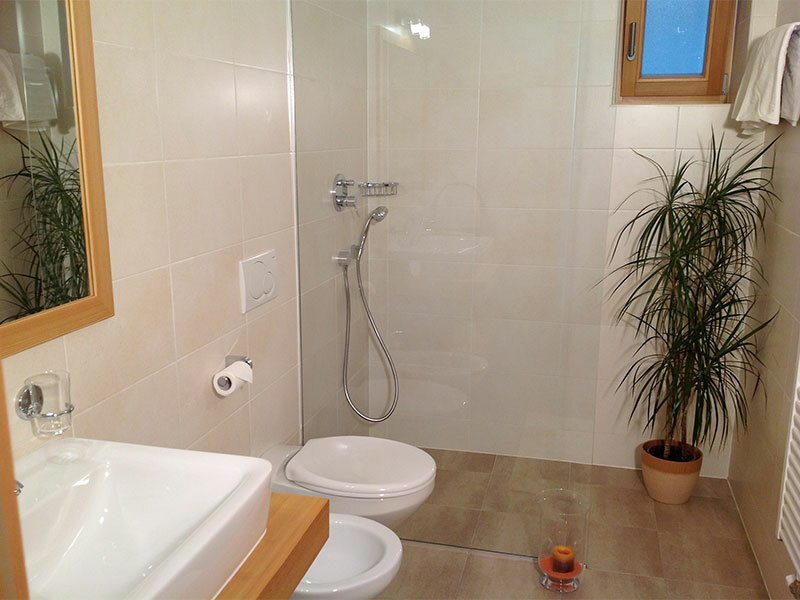 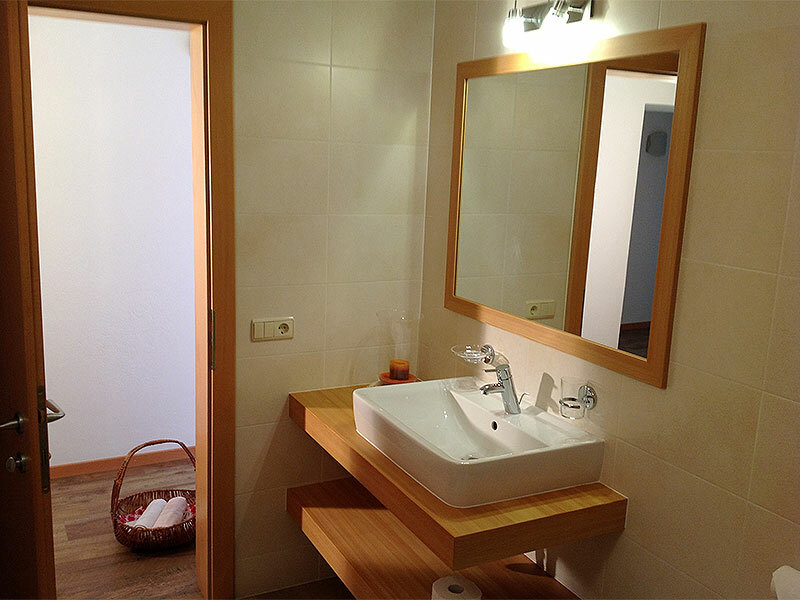 The apartment was renovated in October 2015 and consists of a combined kitchen/living room with a pull-out double sofa bed, a beautiful, spacious bathroom and 2 separate bedrooms, featuring high-quality pine furniture! 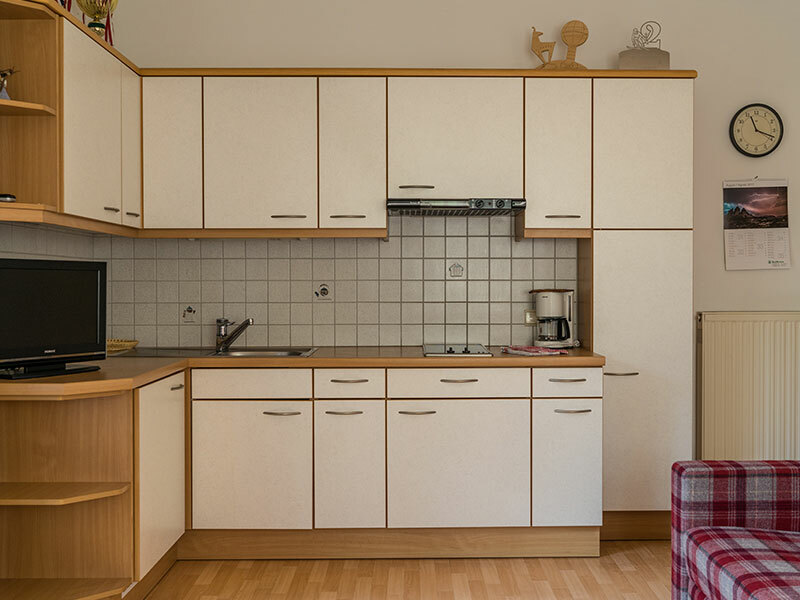 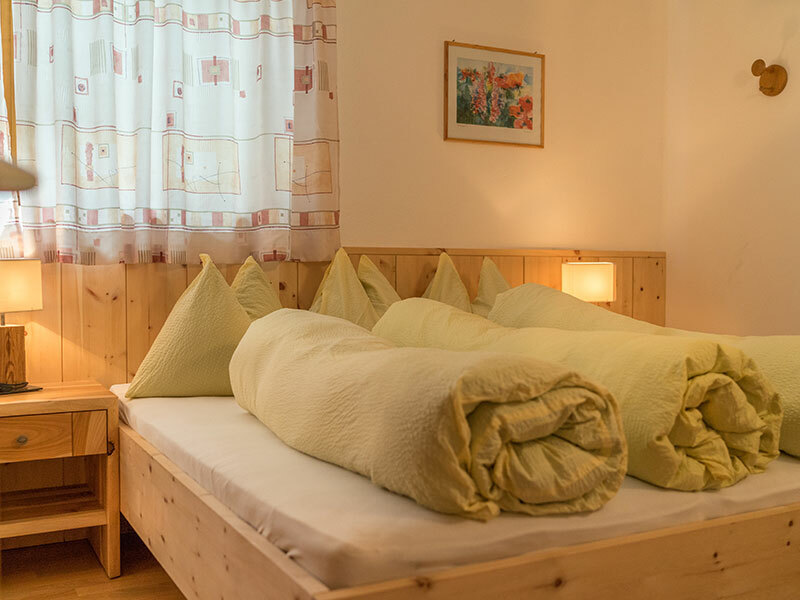 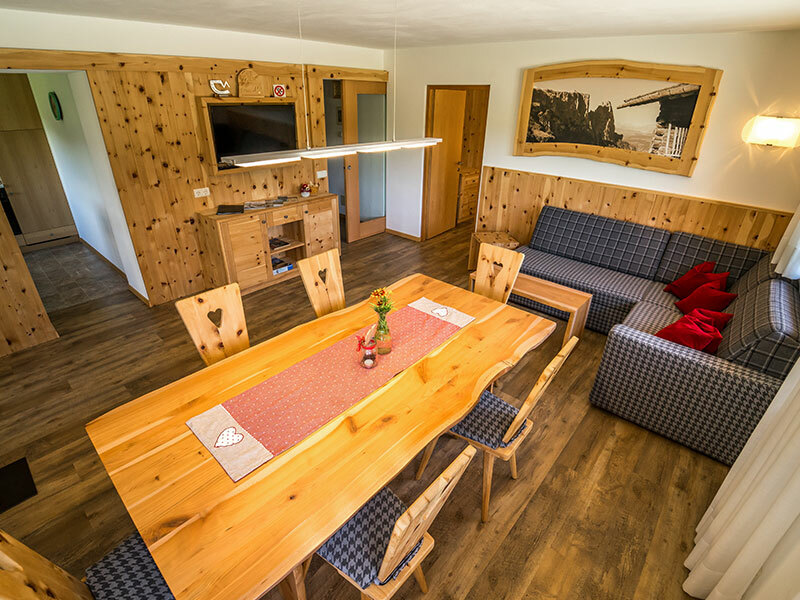 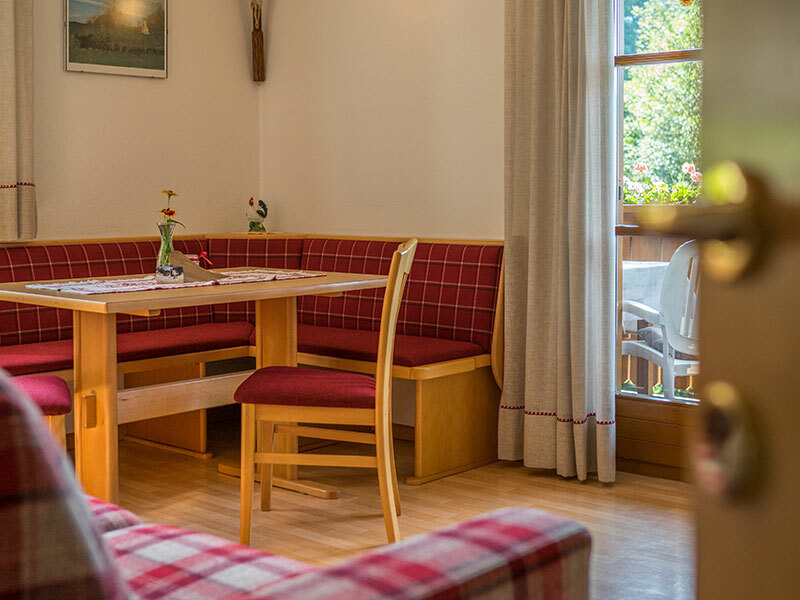 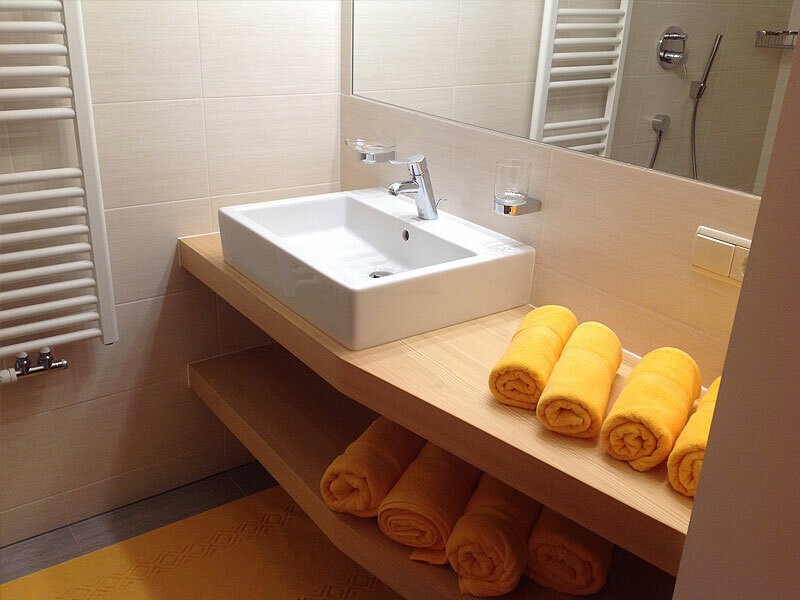 Our apartment Bergkristall is also located on the ground floor of the building, and is therefore wheelchair accessible and offers space for 4 to a maximum of 8 people. 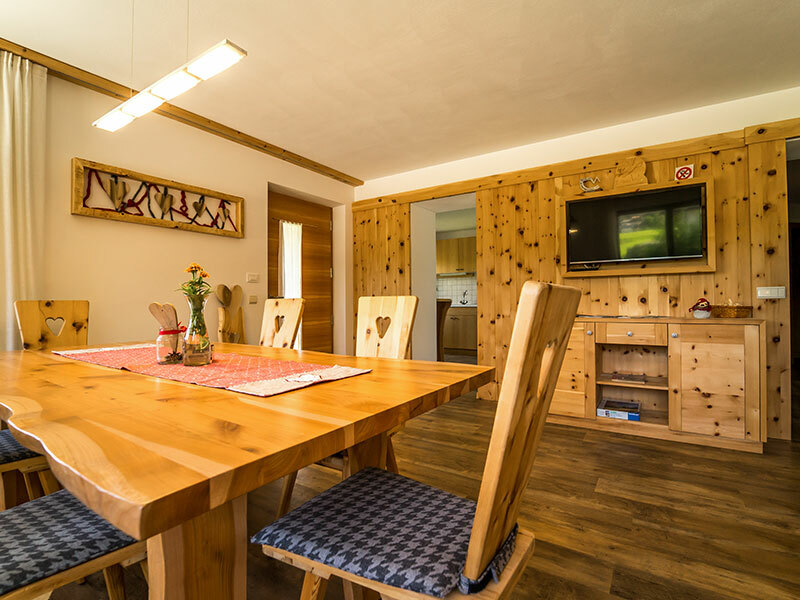 This apartment was renovated in October 2015, with great attention to detail and using the highest quality materials, and consists of a kitchen, as well as a wonderfully homely lounge with a dining area, pull-out double sofa bed and TV corner, 2 bathrooms and 2 bedrooms. 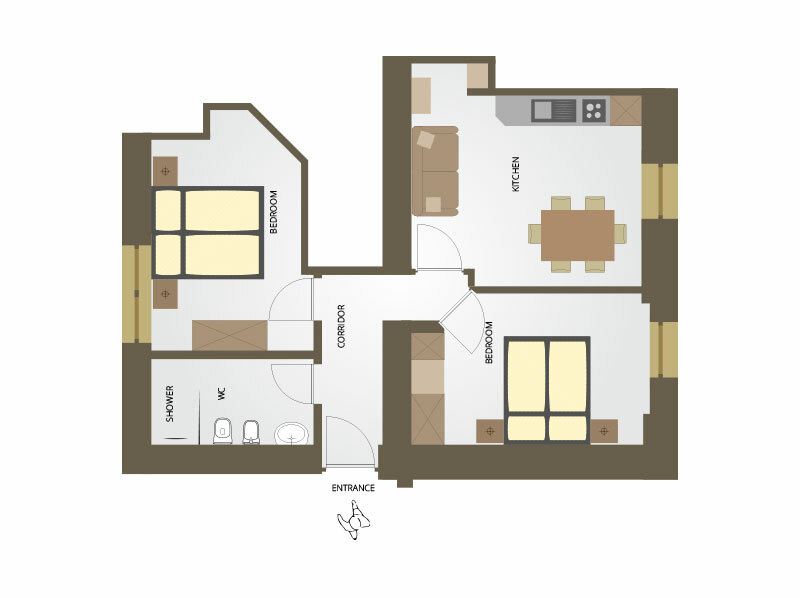 If required, there is the option to add a 3rd bedroom. 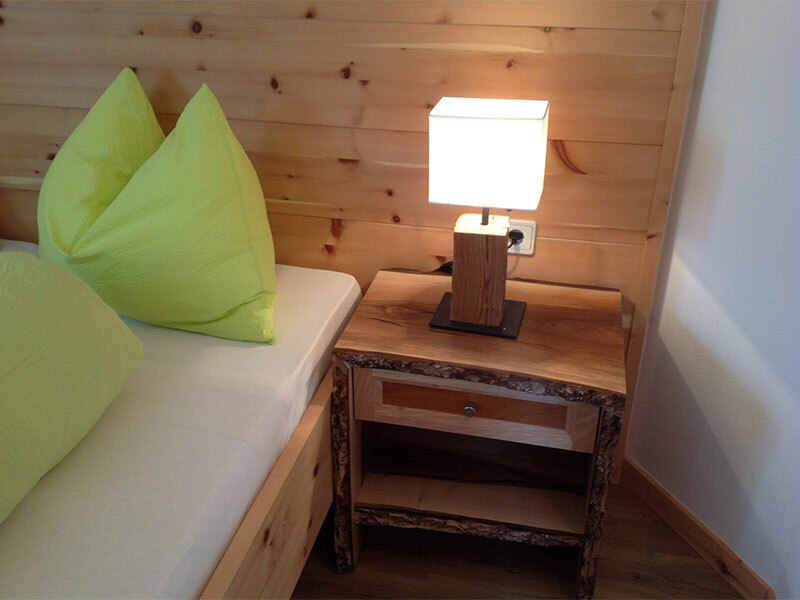 *These prices are for an occupancy up to 4 persons, for each further person 12.00 € per day are charged.